From a young age, Syerie Zukifli had been making her own DIY products ever since she learned to sew. This hobby grew up with her as she started making Batik purses for her friends and family as gifts. She brought a couple of these pieces with her to the UK as souvenirs for her close friends there; however, she was surprised when many others saw her handcrafts and expressed their desire for one too. That’s when she knew there was a huge opportunity in the market for this business as it was not only in demand locally, but for people outside Malaysia as well. Formerly a PR officer, Syerie and her husband Uwais Aziz both shared the same business passion that led them to establish Isti-mewa in June this year. They custom order Batik prints for most of their collections, going out to meet local Batik painters and asking for specific designs and patterns to see what would fit their concept, sourced across different locations in Kedah, Langkawi, Terengganu, and Kelantan. 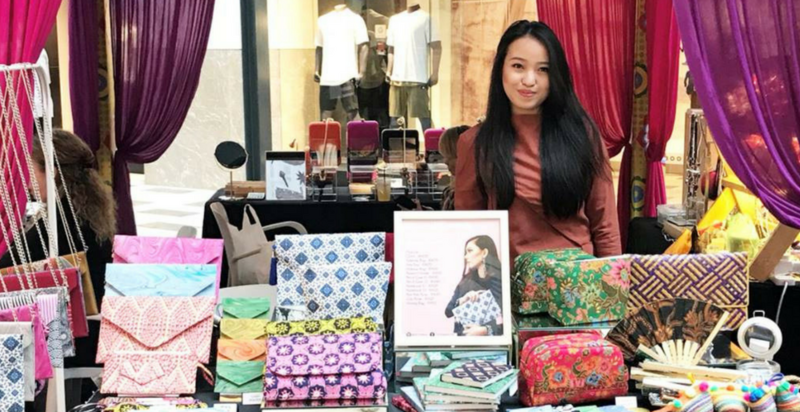 Syerie shared how she went from sewing clutch-bags and coin purses to now expanding their selection to toiletry bags, makeup bags, card holders, hand purses, and more. 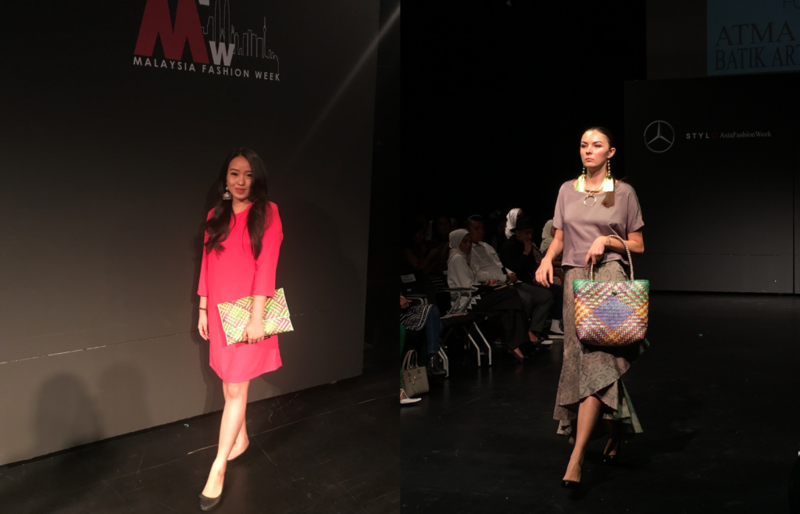 Wanting to foster Malaysia’s rich traditional culture and heritage through crafts into modern and contemporary pieces, they released their first collection called “For The Love of Batik” that featured the handmade Marble Batik clutch bag and purse. For an idea of their prices, one Batik clutch bag costs RM150, and the Rattan bag costs RM180. Even though Syerie is experienced enough to sew for herself, accommodating to different products each time has proven to have its own set of challenges. According to her, certain sewing techniques needed to be applied to transform the material into a sellable product; some needed extra linings, others needed extra stitches. She gave the example of clutch-bags, which required four inner linings to ensure they would have the right structure. Besides complications in handcrafting, they also faced a lack of funding for the business as the hardest challenge for them was to get people to understand their product. 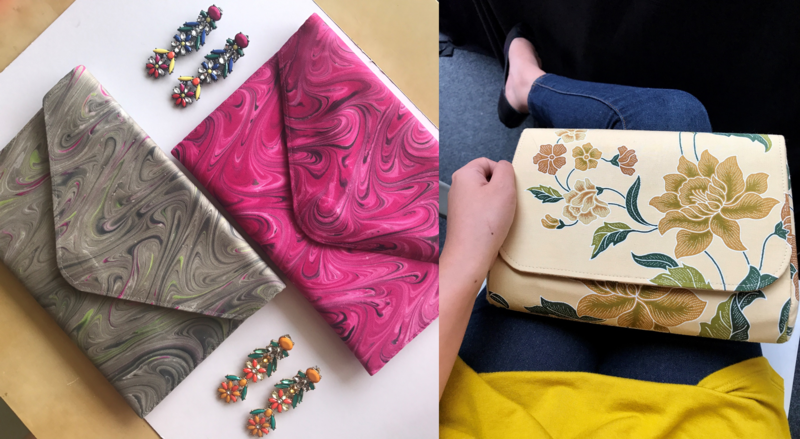 Their struggle was most prominent when they first launched on Facebook and Instagram; back then, having very few followers made it difficult to sell even one Marble Batik Clutch Bag in a week. Things took a turn for the better when they were invited by Kraftangan Malaysia to open a booth at Kompleks Kraf Jalan Conlay, KL. Those 4 days proved to be life-changing for the business as they met new people, talked to fellow crafters and customers that enjoyed their story and media that were interested to know more about their handcrafted products. She adds that her experience from being a Public Relations strategist had given her some insight on how to manage the brand, especially on how she positions and explains the brand to customers. Her previous work experience at the biggest airport retailer in Malaysia holds influence as well—it gave her market awareness on the demand of local handcrafted goods from both locals and tourists alike. Since then, they have sold over 200 Batik clutch bags. For future projects, they intend to expand their product line from Batik to include Songket, Pua Kumbu, Tekad Emas, and many more.